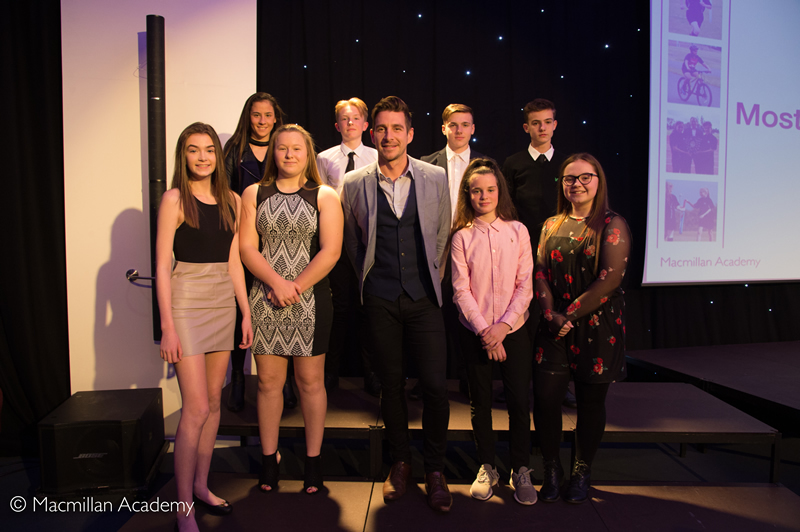 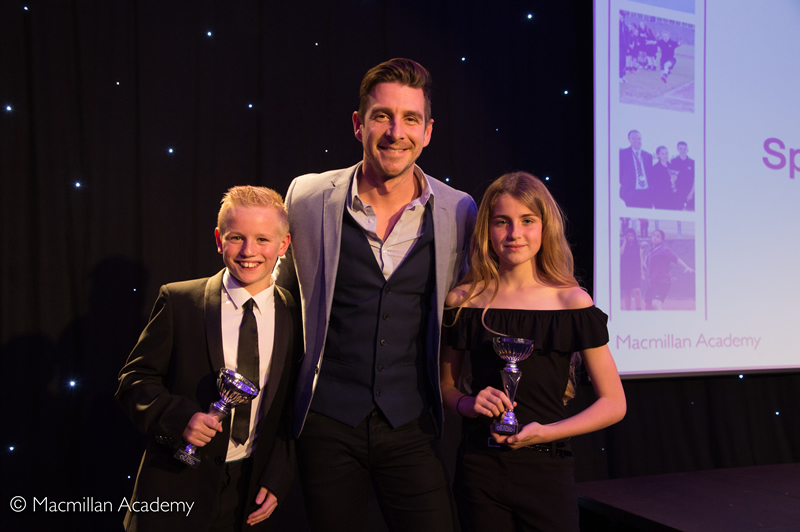 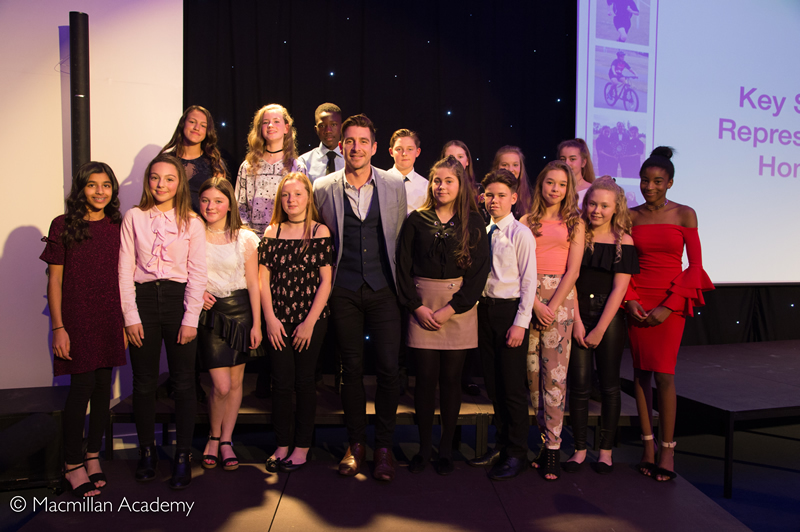 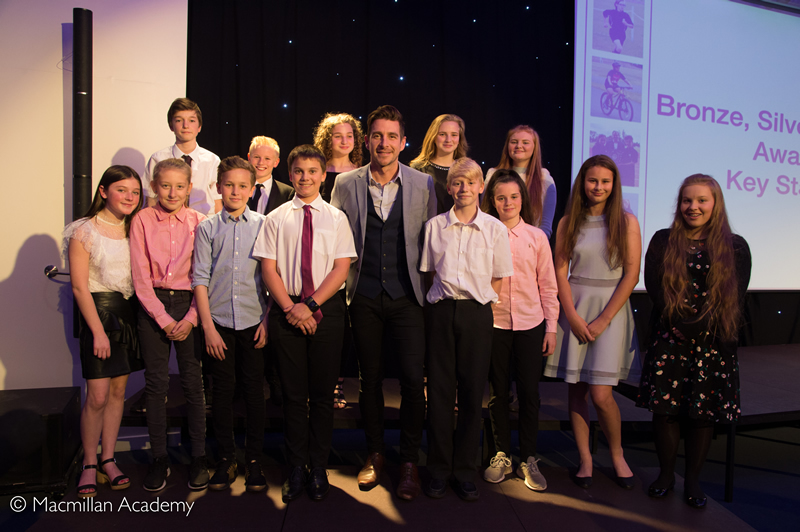 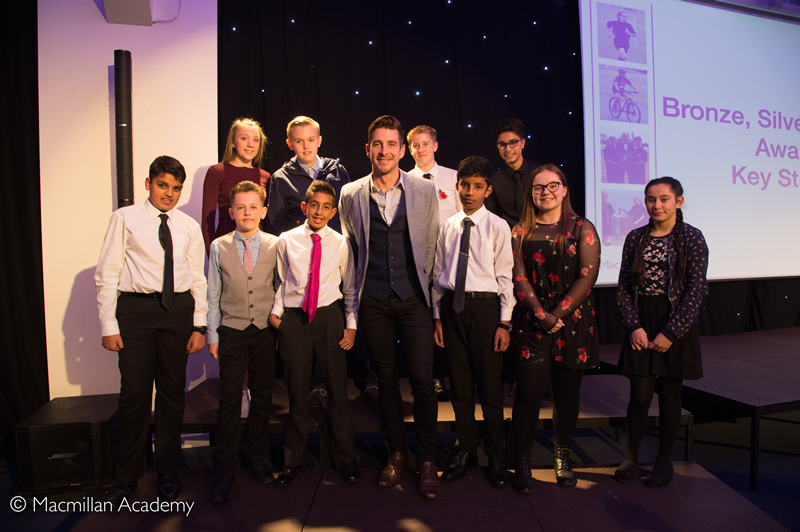 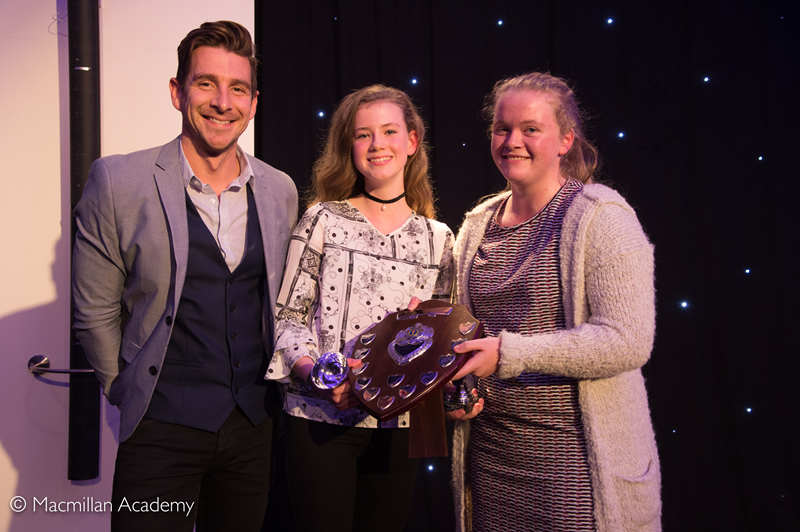 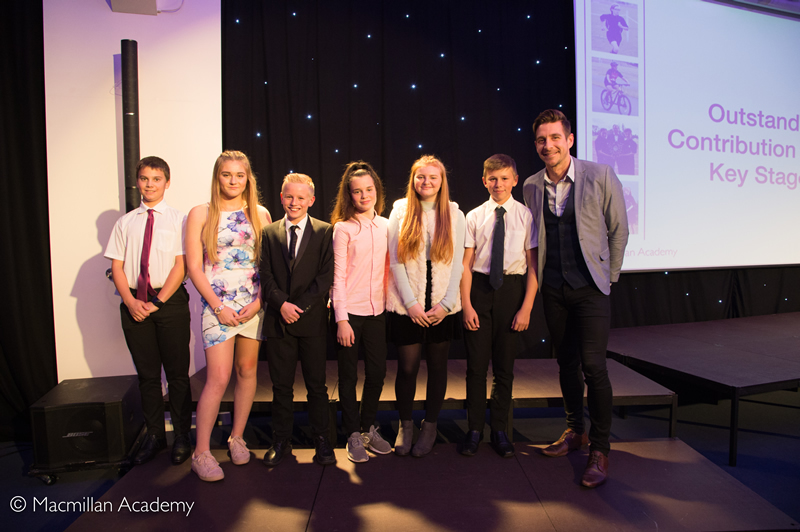 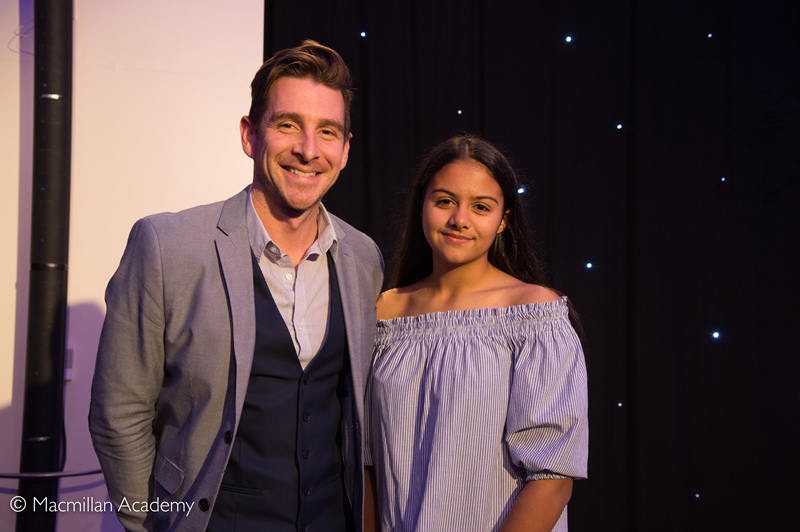 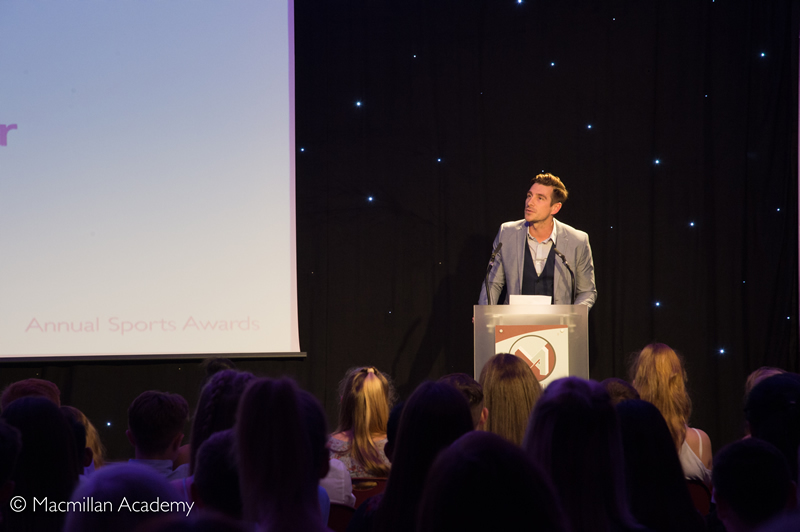 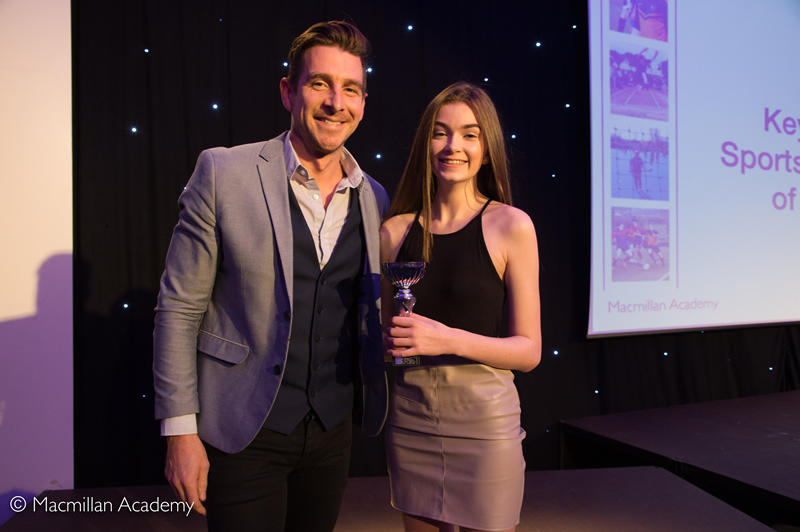 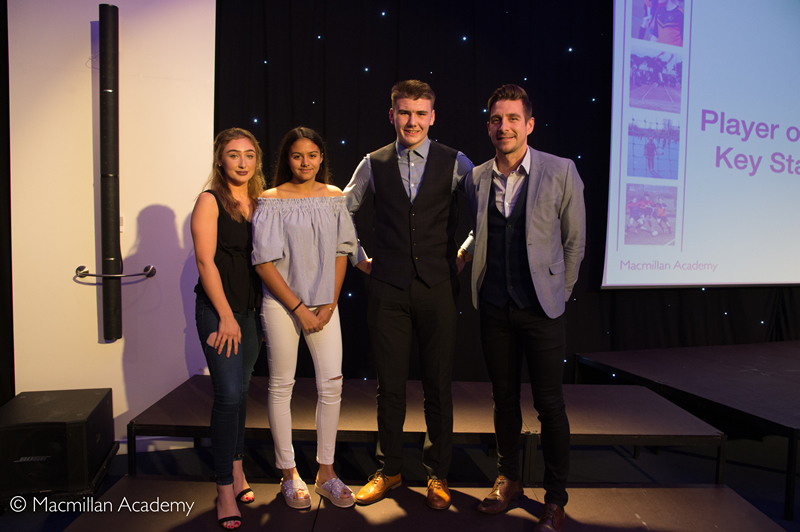 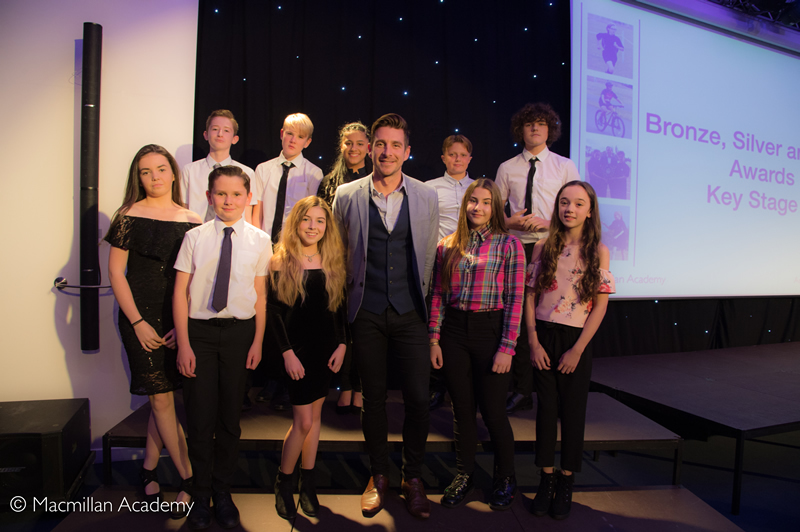 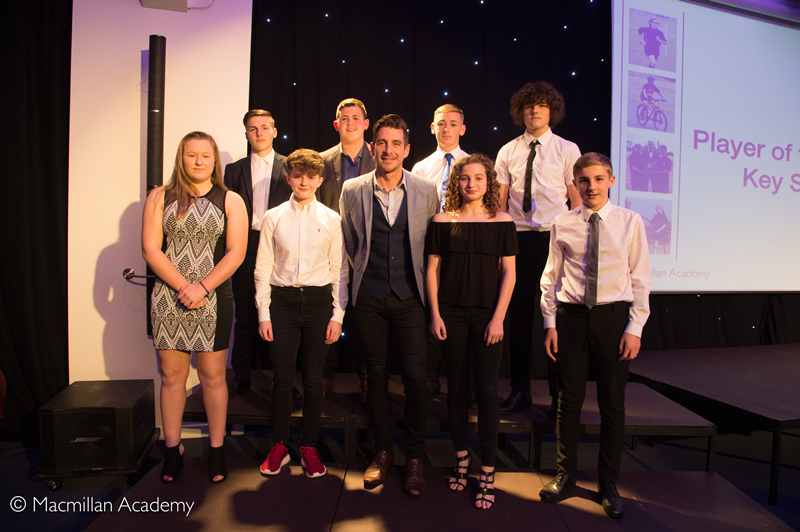 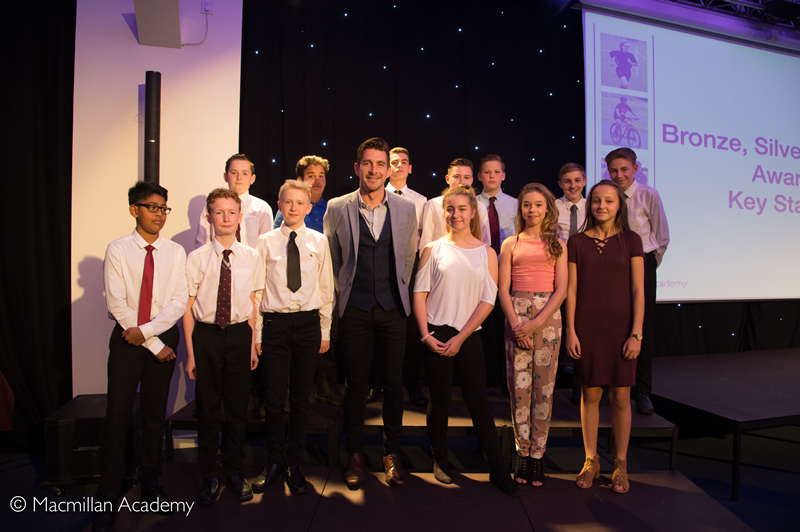 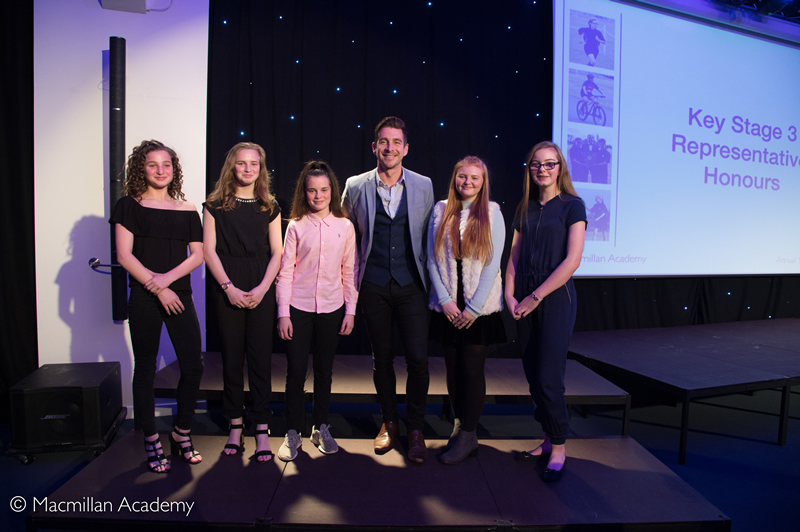 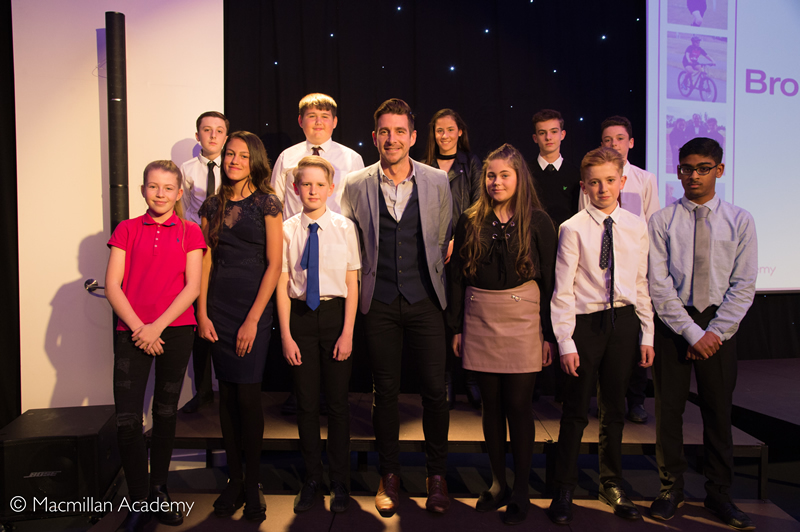 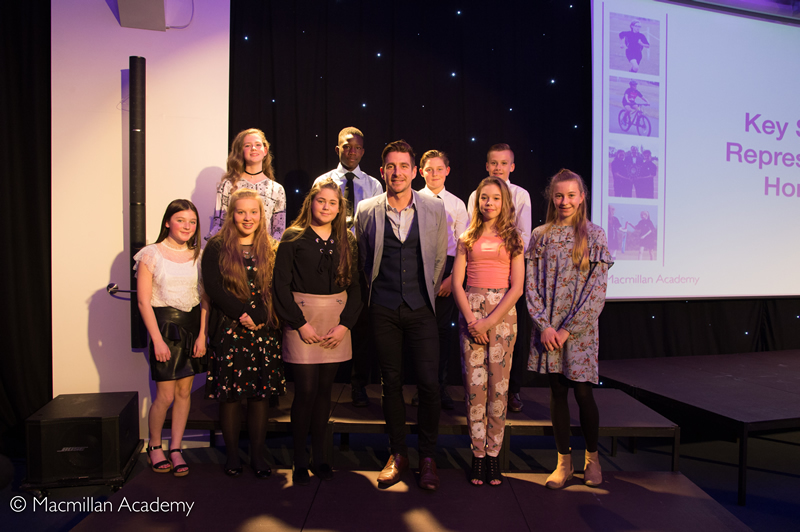 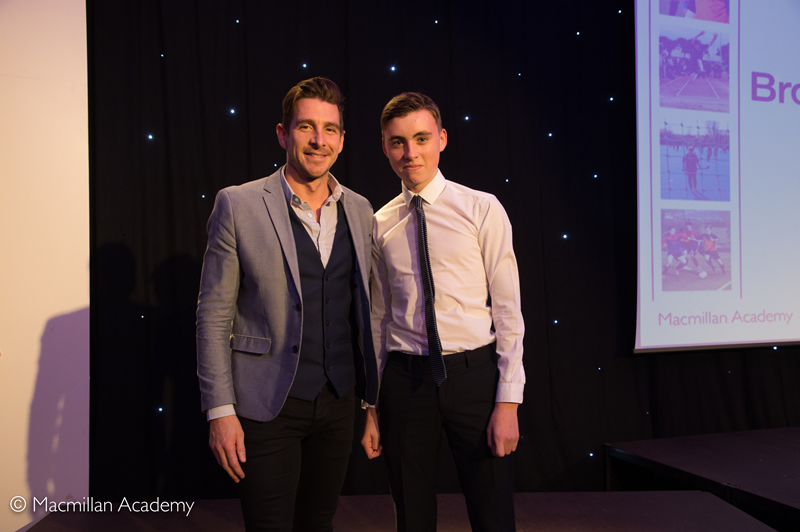 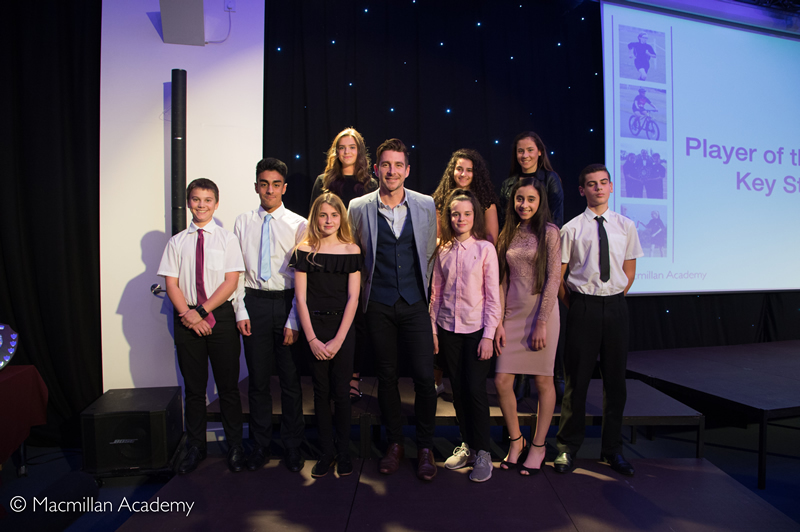 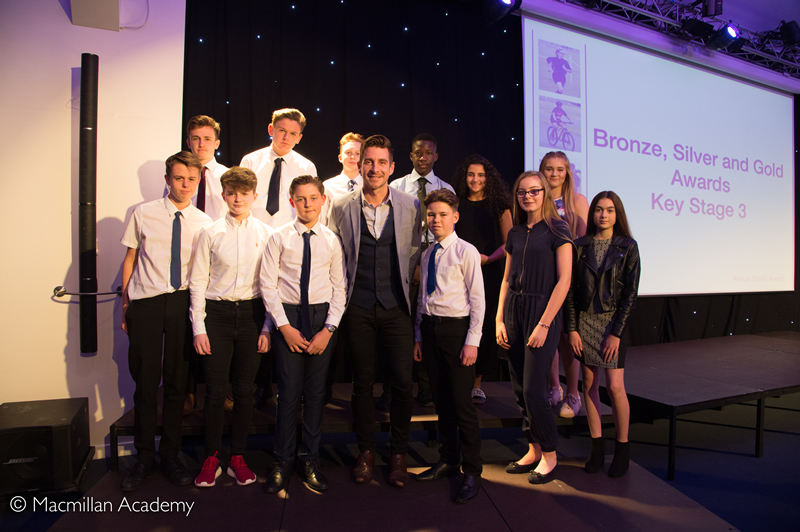 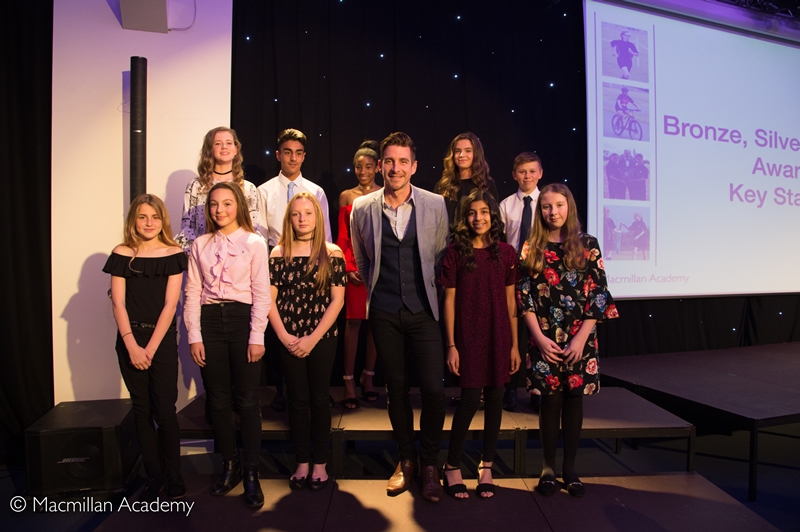 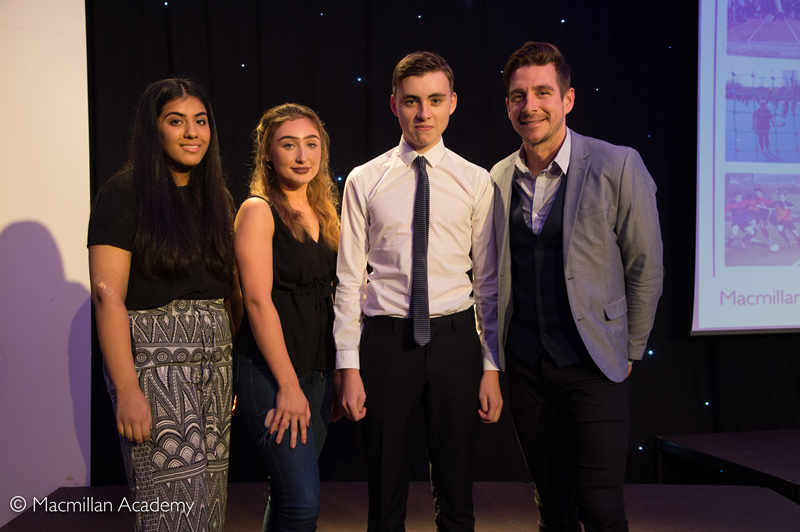 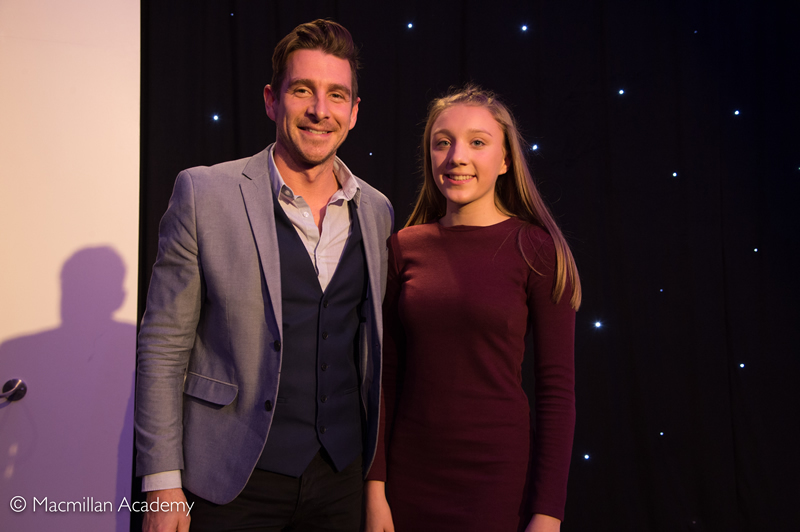 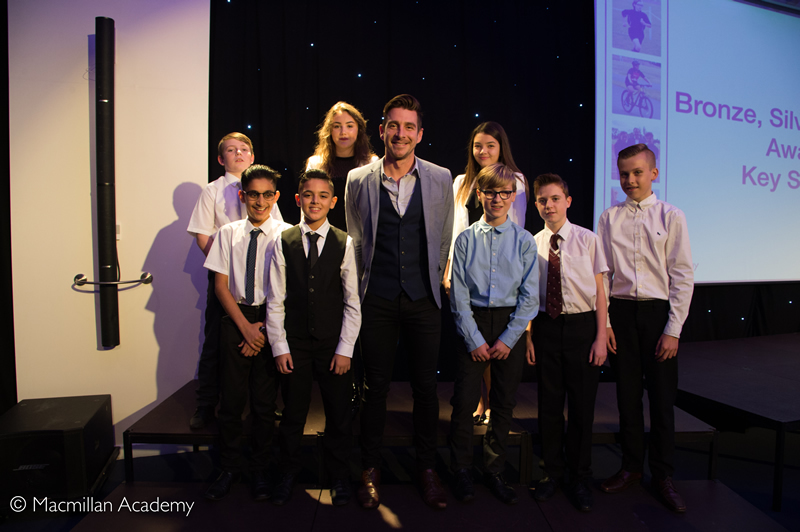 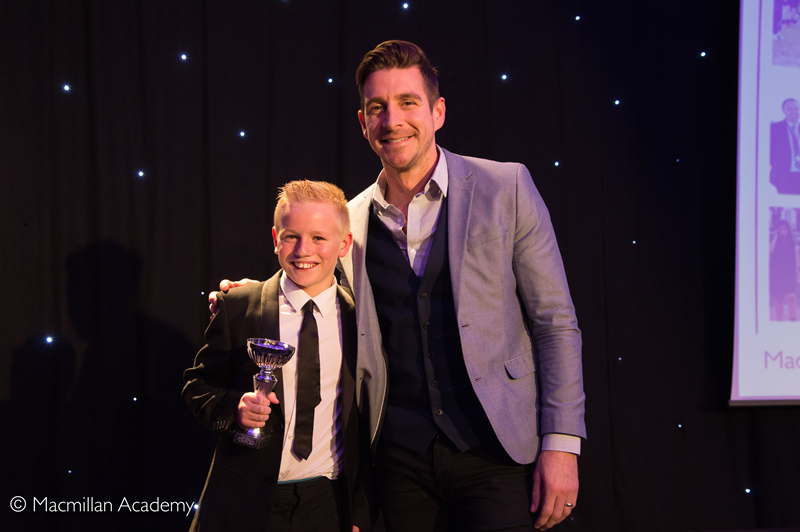 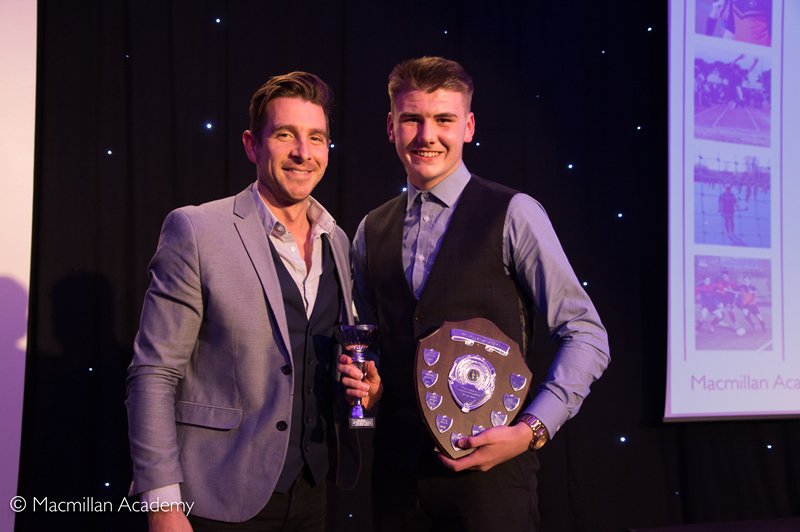 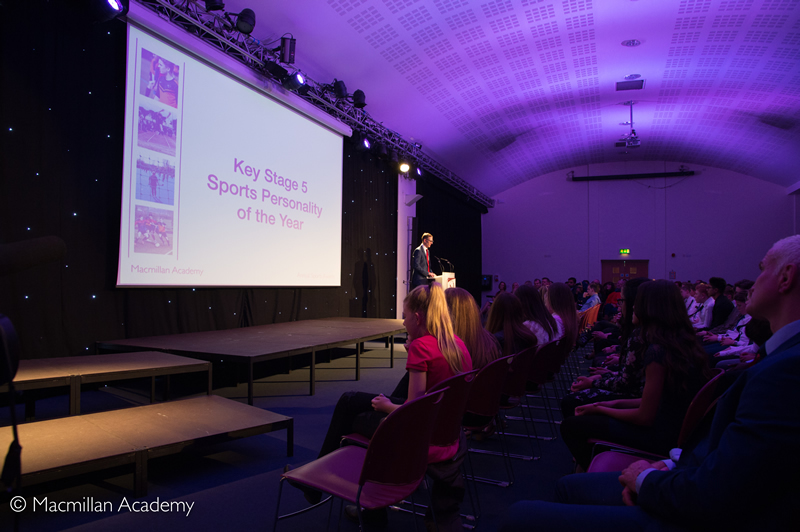 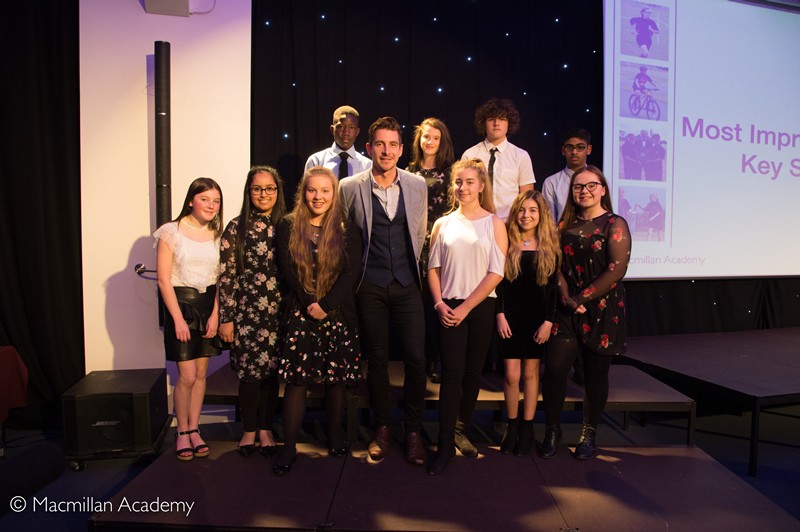 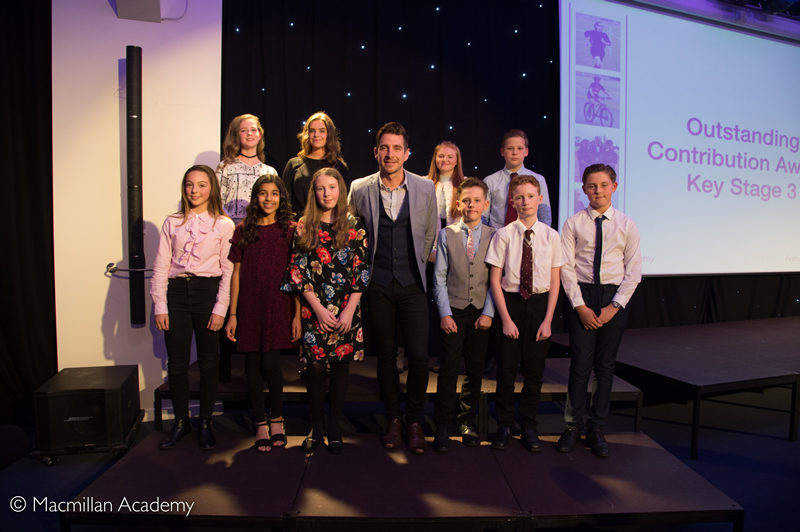 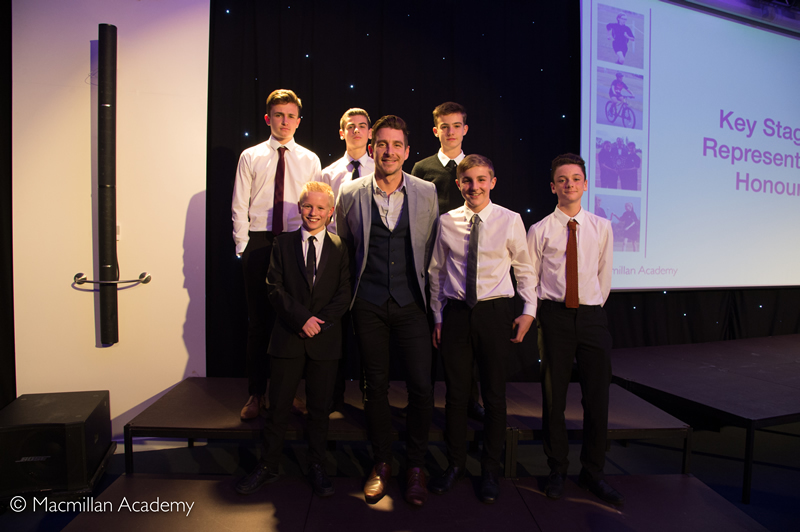 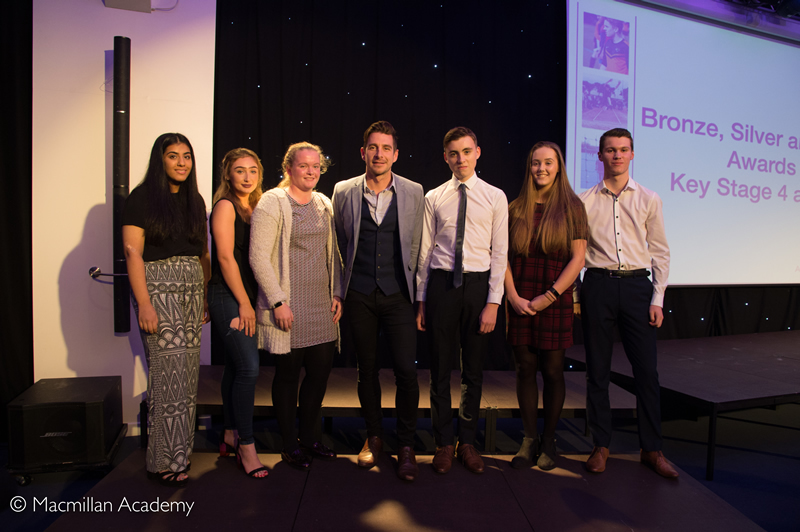 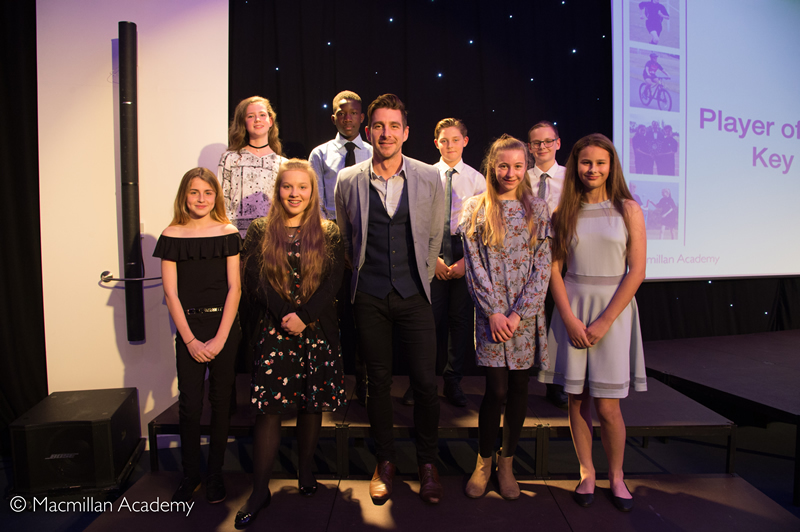 The Macmillan Academy annual �Sports Awards� evening was held on Thursday 2nd November. 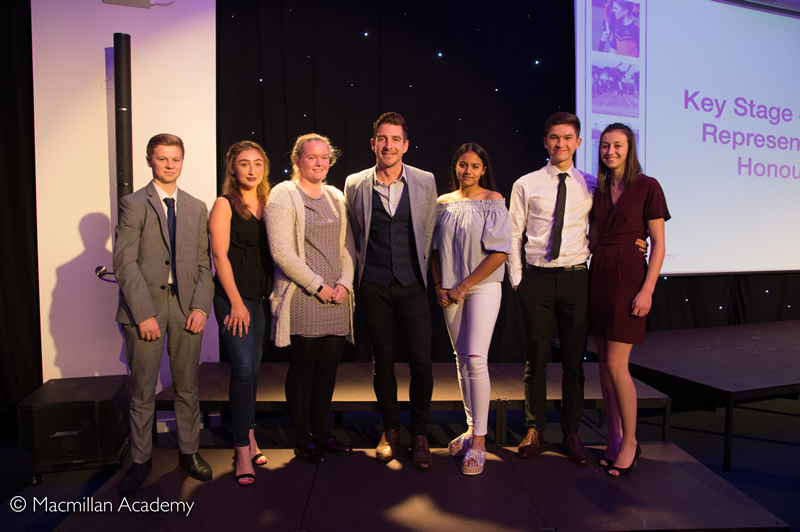 This is an important event at which our students are given recognition for the tremendous efforts they put into physical education and sport. 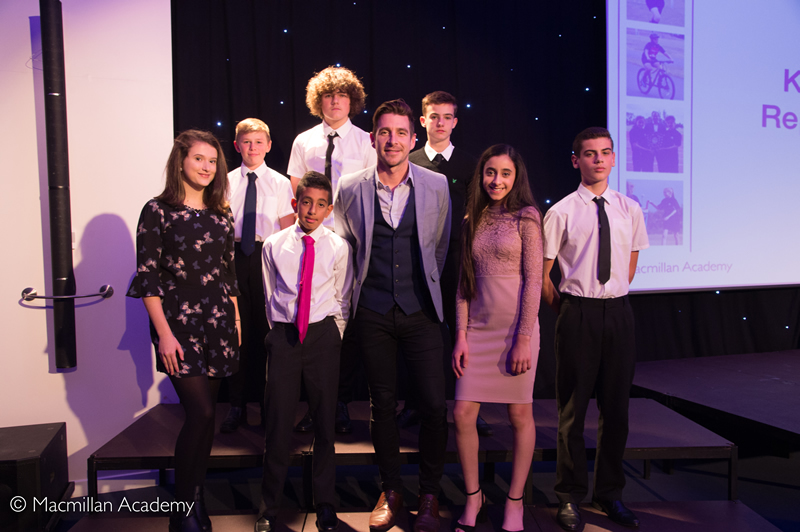 We were delighted to welcome as Guest of Honour, double Olympian and double Commonwealth Champion swimmer Mr Chris Cook. Chris is a North East Olympian who is extremely passionate about spreading the message to young people about chasing their dreams and finding the courage to motivate themselves to step out of the crowd. 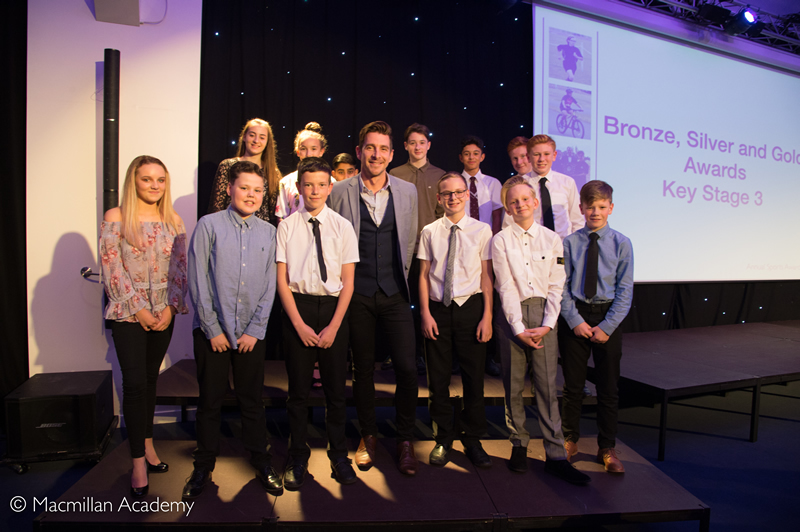 Bronze, Silver and Gold Awards were presented to students for their continued commitment to both enrichments and sports fixtures throughout the academic year. 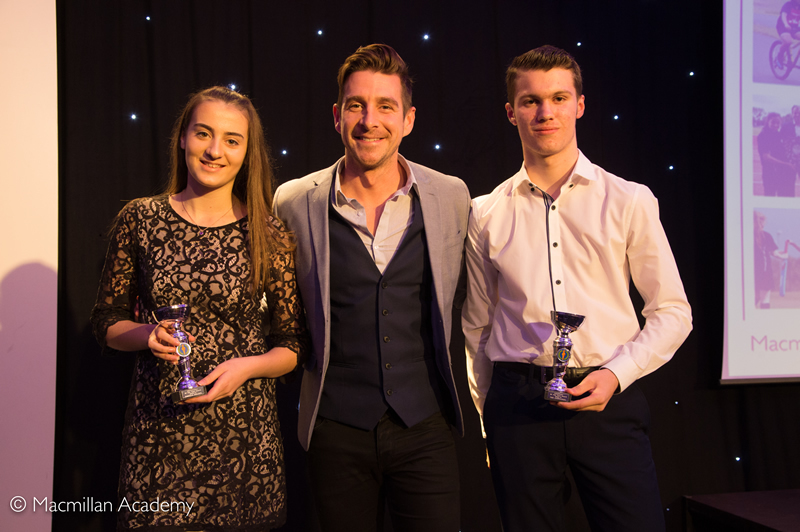 Awards were given for 'Player of the Year', 'Most Improved Player' and 'Outstanding Contribution Award'. 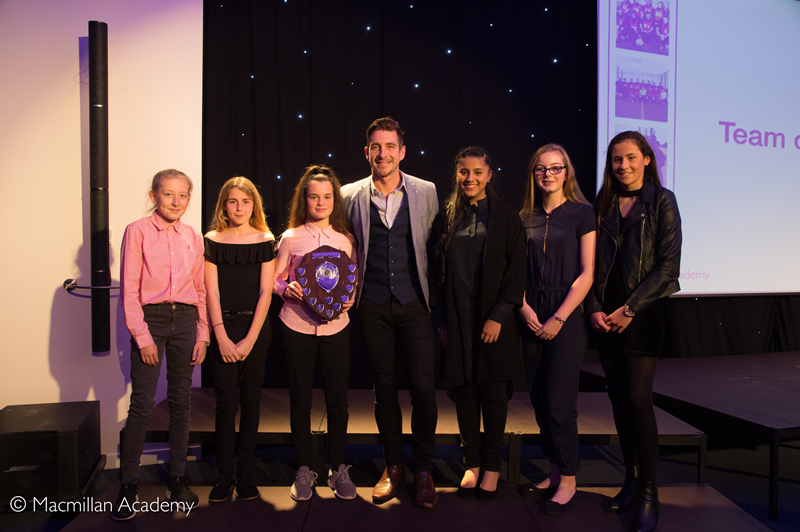 In addition was 'Team of the Year', 'Volunteer of the Year�, 'Special Contribution to PE and Sport' and 'Sports Personality of the Year'. 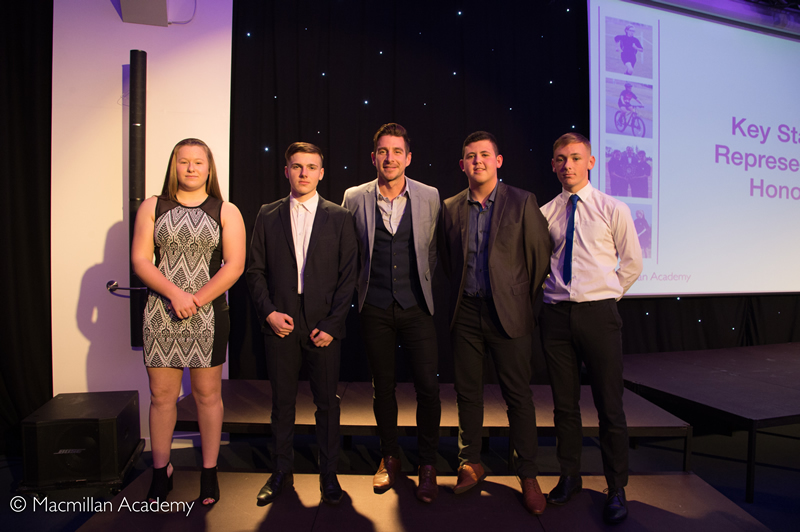 Congratulations to the all the winners and well done on their individual and team successes!